Eric Kirwan is CEO and President of Modulex A/S, which was founded in Denmark in 1963 by the LEGO Group. As Managing Director at Modulex for 15 years he expanded the Modulex network globally including new office openings in Hong Kong and the USA. He then went onto focus on hospitality design as a member of the International Projects team at Grohe. In 2014 he rejoined Modulex at the headquarters in Billund, Denmark working on major wayfinding projects across the world in healthcare, education, corporate and hospitality. What are the most important factors to consider when designing wayfinding? Wayfinding is simply spatial problem solving. In the same way that a designer considers the best use of a space with careful consideration of its potential users, the role of the wayfinding consultant is to take into account the area and the users, identifying circulation patterns, decision making or dither points and carefully directing users in the necessary direction or perhaps even disrupting them, when and where appropriate. Most importantly though, designers should keep it simple. The best wayfinding solutions use the least amount of signage to guide people from a to b; take advantage of the architecture and landmarks as part of the solution. Make sure to ask yourself four simple questions about the signage: Can they see it? Can they read it? Can they understand it? Can they trust the information? What are the main challenges you face throughout the manufacturing process? How do you overcome these? The challenges are usually around deadlines. Often the signage is one of the last items to be installed which can cause pressure, we usually recommend considering it earlier in the process in order that a scheme is not compromised by the details of the signage. That said, although not sure I really want to mention this ….. we helped a client out with an urgent request for nearly 1,000 painted panels which were issued next day to a very happy client. Not something we like to repeat but we always enjoy the challenges! Information signs are sometimes also called Overview or Orientation signs. Typical examples would be in the forms of maps or floor plans with ‘you are here’ marked on them. These are useful in parks, zoos, retail spaces – places where it is not critical to follow one path. Of course you also see these used in offices, universities and hospitals – be mindful of the need to keep the design and graphic very simple as many users find it a challenge to orientate themselves once they have moved past the sign. Also, make sure that the plan is orientated to face a notional north – a majority of people rotate maps to read them in this way, not so easy to do with large signs. Directional signs are the building blocks of any wayfinding solution and should be placed at decision making or ‘dither’ points where users have to make a decision about what route to follow. Ideally these should be placed to ‘nudge’ people when they are starting to question the direction they should take, rather than bringing them to a stop and making them read the sign. This is particularly important in busy spaces and/or at busy times of the day. Identification Signs may be exterior signs to identify buildings, companies or destinations. Internally they typically identify teams, departments or rooms; but also in open plan spaces they may well be desk or column mounted to identify the user of the space. There has been a significant increase in the number of these signs being digitally based to manage the high levels of change at room or desk levels. Health and Safety, Mandatory signs are clearly a vital piece of any project and need to be given appropriate attention. We try to recommend an holistic approach to the overall signage to avoid conflict between fire signs, for example, and directional signs. Often different materials are used so the design is compromised, and frequently the fire sign will have been installed where you need to add directional information leading to the cost of relocating it. How is the Wayfinding industry developing? Will we see any big changes within the next 5 years? 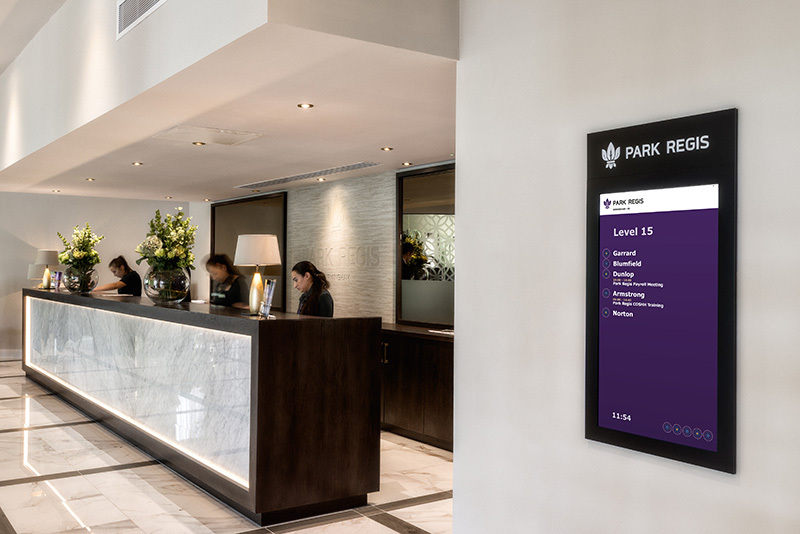 Digital signage is not a new innovation but we are seeing a significant increase in requests from operational managers in large hotels looking to simplify their conference and events systems. These same large hotels could also benefit from indoor navigation technology which enable visitors to navigate to their meeting room, for example, using their mobile phone. With the increase in self check-in within some hotel groups there will be more demand for digital solutions to wayfinding which can be quickly updated in real-time. We understand you have created a BCFA CPD on the topic of Wayfinding, can you give us an overview as to what it covers, and the aims? The CPD starts with an overview of what wayfinding is. Is it simply physical signs or something more? Then it investigates the various sign types and four pillars of success for wayfinding and signage strategies. Then we take a look at what can be done to make signage truly inclusive whilst at the same time meeting the needs of specific minority groups. We will also take a look at some of the issues you may consider before specifying particular materials or products. And finally, we will share with you a little about the latest and future technologies impacting wayfinding and signage and some web resources and references to help you on any live projects. 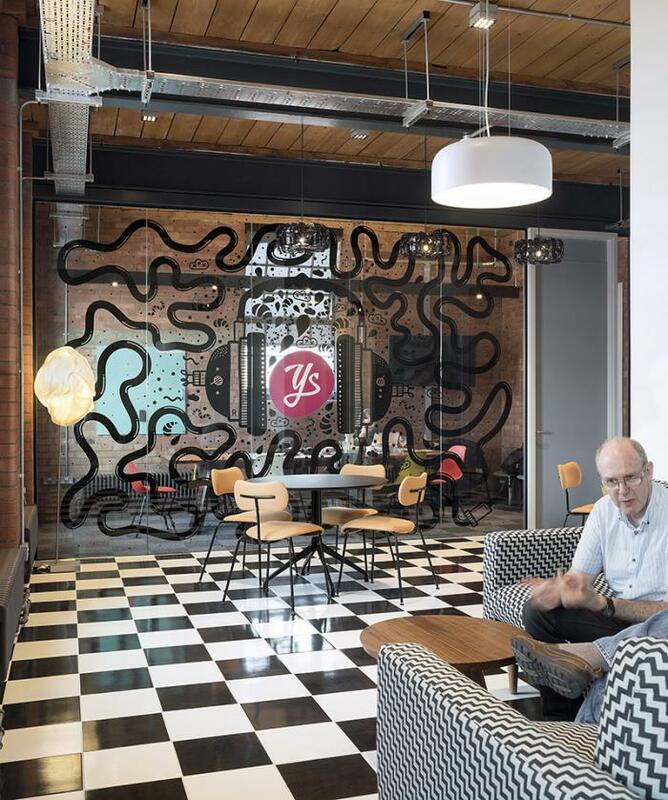 With some anecdotal examples thrown in we hope it makes delegates consider not only the aesthetic of signage and emotional aspect of moving people around spaces but also the commercial benefits which can be particularly relevant to their clients. Lastly, where is this CPD available?